Straight out of my collection of supercabs! 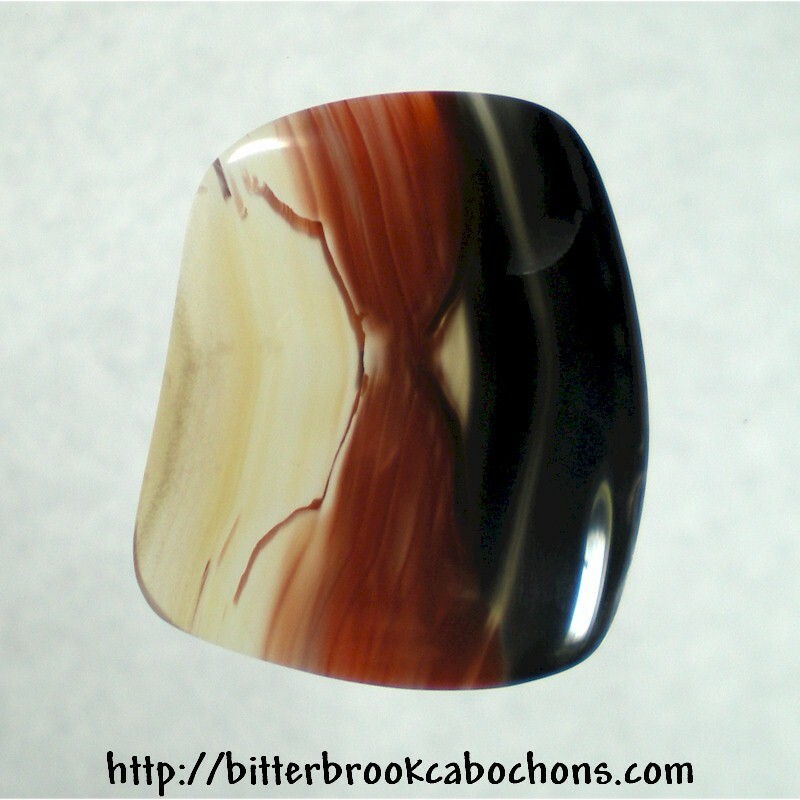 This bold Banded Agate freeform cut cabochon has shades of brown banding floating in near transparency. Little brother of this cabochon. Fractured but stable. Saw marks on the back, can't be seen from the front. Dimensions: 25mm x 22mm x 4mm. Weight: 18.75 carats.